Three waifish, ghostlike figures with long arms and hair are caught mid-dance in Degas' Dancers in Green. 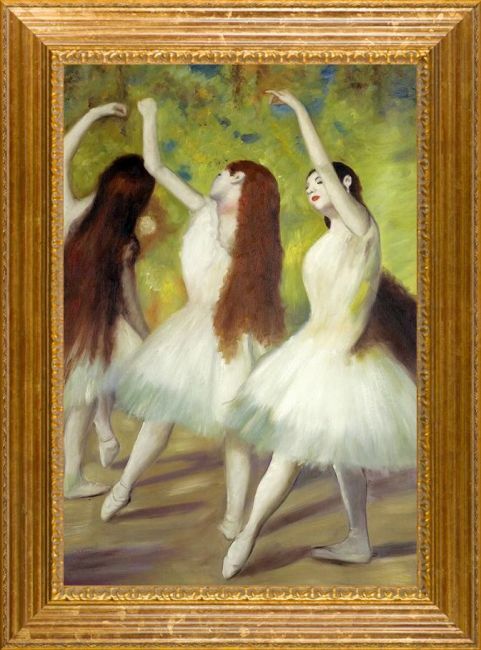 Degas was known for pushing the envelope in terms of his depictions of movement, as well as his subject matter. 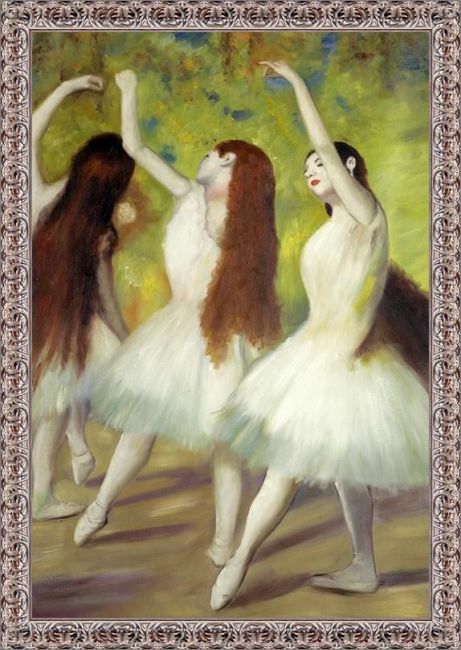 Many of his paintings focus on Parisian society, with the Paris Opera in particular. He also liked to depict life from the fringes and many of his famous paintings of dancers include them not in the middle of performing, but rather rehearsing or sharing tender moments backstage. This gives some Degas works a bit of a voyeuristic quality. 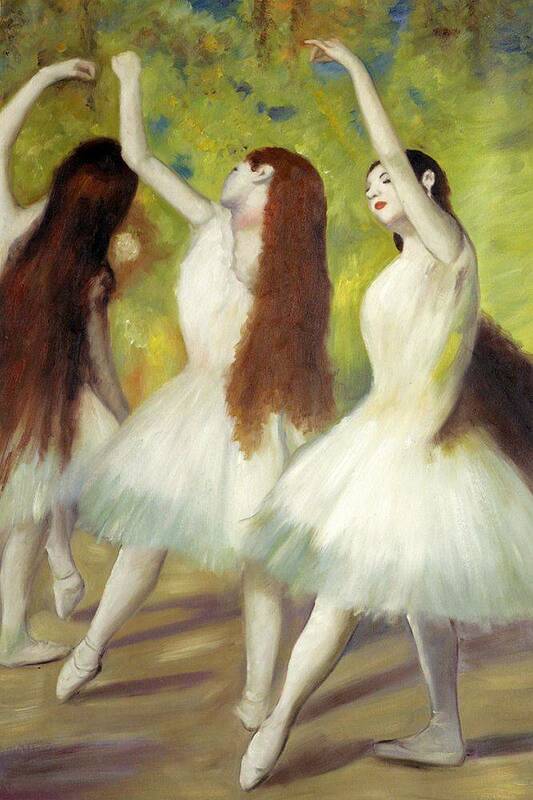 Later in life, Degas' vision began to fail, so he turned more to pastels. 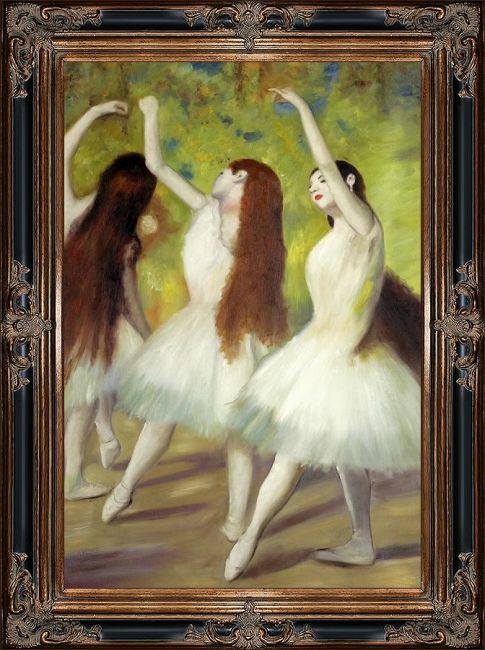 Our talented team of artists have recreated this beautiful pastel in intimate detail, capturing the haunting image almost precisely as Degas did all those years ago.